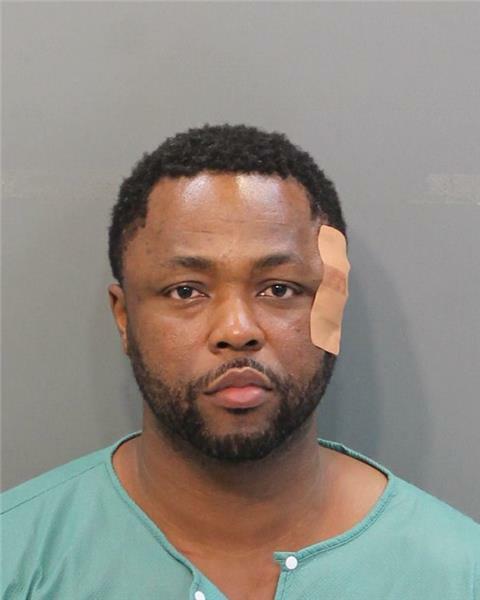 Chattanooga Police have arrested Charles Dijon Pipkens and Lajeromeney Brown in connection with a series of violent home invasions in which the suspects told their victims they were Chattanooga Police officers..
Pipkens, 27, was charged in an Aug. 11 case and Brown, 40, in an incident on Sept. 19. Police said on Aug. 11 after 2 a.m. that a couple returned home on Acuff Street after eating at a Waffle House. The man went inside the residence, while the woman fell asleep in the car. The man then went back out and woke her up. As the woman was walking toward the house, two black males came up from behind the residence wearing all black and ski masks. They put a gun to her back and told her they were police and not to scream or make any noise. When they entered the residence, they zip tied her hands behind her back. After 3-4 minutes a third black male came inside the house and told her she had better cooperate or she would get hurt. They located the man, pepper sprayed him and also zip tied his hands. The trio then ransacked the house, while appearing to be looking for something. They took $500 cash, several pairs of Jordan sneakers and the man's drugs. They tried to take out a large bin of Jordan sneakers, but were unable to get it. After they left, the woman was able to get her hands free. She then helped the man get untied. Police said since that incident there have been at least four more home invasions with the same MO. Police have developed several suspects. A photo lineup was shown and Pipkens was identified as one of the suspects. The witness could not identify a second suspect. Pipkens has several prior felony convictions. He is in jail on bonds totaling $419,000. The case in which Brown is charged happened on Eastwood Drive. The reporting party stated to police while attempting to enter her home she was approached by four black males identifying themselves as "Chattanooga Police Officers." One of whom was pointing a gun at her. The suspects held her and another person against their will while they stole electronics, cash, and a vehicle. Brown is already incarcerated at the Hamilton County Jail for charges stemming from a home invasion that occurred on Aug. 15. Brown could face more charges as the investigation continues, police said. He is charged with two counts of aggravated robbery, two counts of aggravated kidnapping, especially aggravated kidnapping, aggravated burglary, criminal impersonation of a police officer and carjacking.